There’s going to be an eclipse of the sun on August 21st, which will be visible in the USA. It’s a fantastic opportunity for children to experience the relationship between Earth, our moon and the sun, and see and feel how they interact together. Get more free learning resources and lesson plans! The very best way for your children to learn about the solar eclipse is to head outside and see it. You can make a special solar eclipse viewer (see below) or just watch the sky go dark. A solar eclipse occurs when the moon passes in front of the sun and the moon’s shadow falls on the Earth. You can see an illustration of the sun, moon and earth lining up here. The most important thing to remember is that you must never look directly at the sun as it can seriously damage your eyes. Make sure all your children understand this, and teach them how to safely observe the sun. 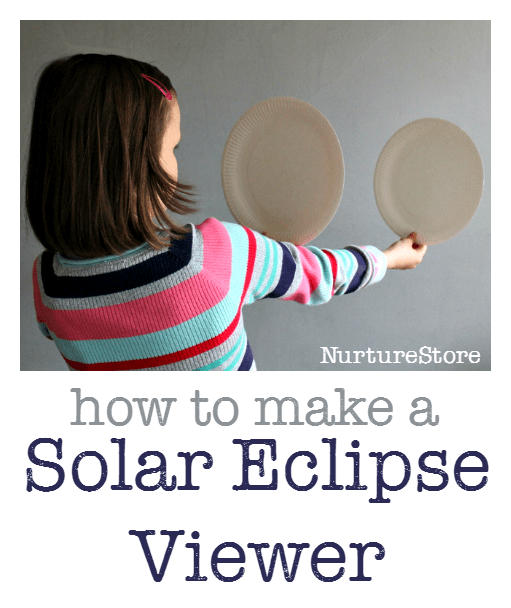 You can buy solar eclipse glasses, but you can also use…..a paper plate! 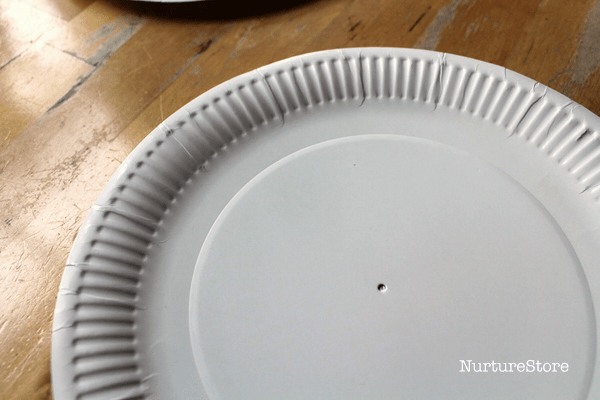 Take two paper plates and make a pinhole camera. :: Let the sun shine through the paper plate with the hole in, making an image on the other paper plate. Watch this image on your paper plate to view the progress of the moon across the sun. 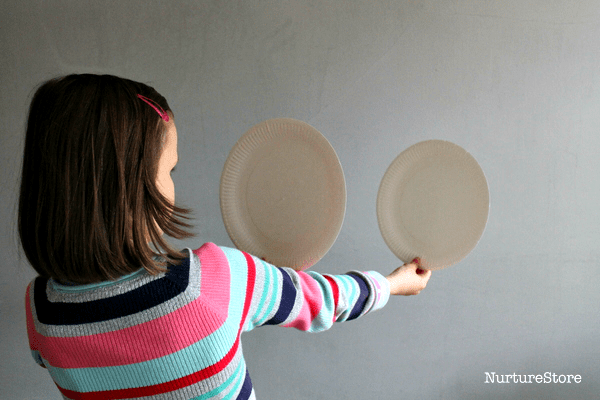 :: Move your paper plates closer together or further apart to adjusting the view. You could also try this shoe box solar viewer. 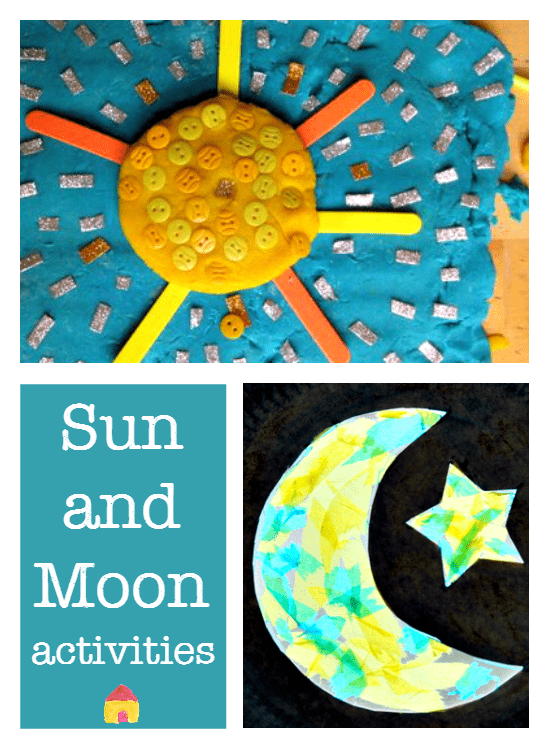 The solar eclipse is the perfect occasion to learn about the sun and moon. 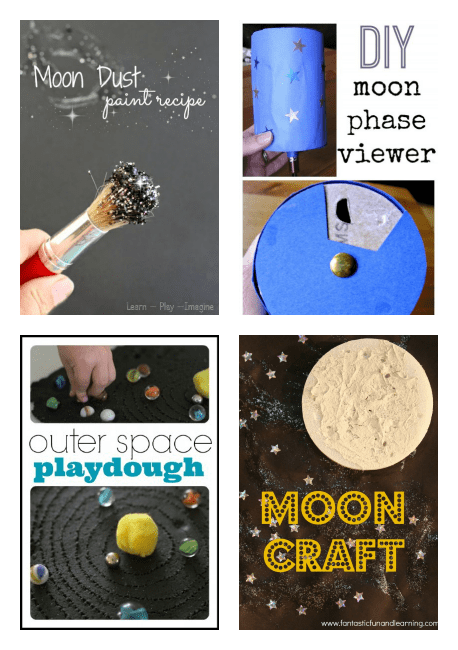 Here’s a collection of resources you can use for sun and moon science, art and craft, and some fun play ideas.